In today’s world of broadband internet, mobile phones and iPads, technology has replaced many forms of traditional communications. However, one thing that technology can never replace is the human touch. 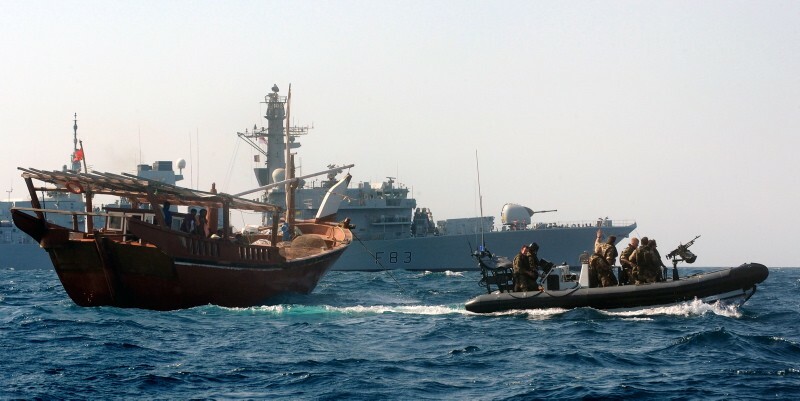 The crew of HMS ST ALBANS know exactly how effective this can be as they are putting it to good use, finding out first hand from local sailors and fishermen, exactly what is going on in the waters of the Arabian Gulf. Royal Navy Frigate HMS ST ALBANS, also known as the ‘Saint’, is currently part of Combined Maritime Forces (CMF), operating under one of three task forces, in this case Combined Task Force (CTF) 152, working alongside the navies and coastguards of the Gulf, ensuring the continued security and stability of this most vital of maritime areas. Not only is the Gulf and its coastal region the single largest source of crude oil in the world with hundreds of super tankers transiting through everyday; it is also at the cross roads between Europe, Africa and Asia, making it an important route for trade between these continents. 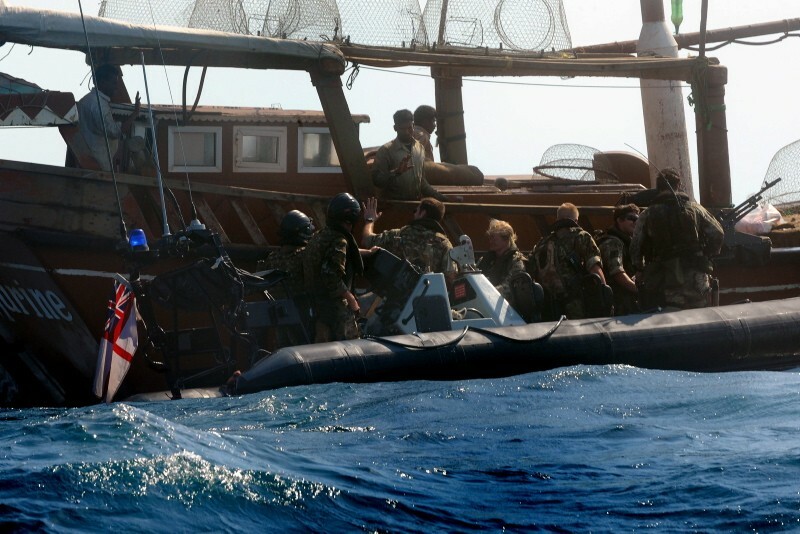 Part of the Saint’s mission is to help prevent criminal activity, detecting and deterring illegal smugglers as well as stopping the flow of personnel and money to the pirates and terrorists that are normally at the other end. Whilst the very presence of a warship such as ST ALBANS represents a substantial deterrent to smugglers, the ‘Saint’ needs to single out criminals from the law abiding fisherman and merchants that ply their trade in the area. As well as using the latest surveillance technology available in the form of Radars, Infra Red cameras and the Ship’s own Merlin MK1 Maritime Patrol Helicopter, the ‘Saint’ and her crew also use the age old method of one on one human interaction. By carrying out “Alongside Assurance” visits (AAs) to the hundreds of dhows that she meets during her patrols, the ship can gain the trust and respect of the local mariners. 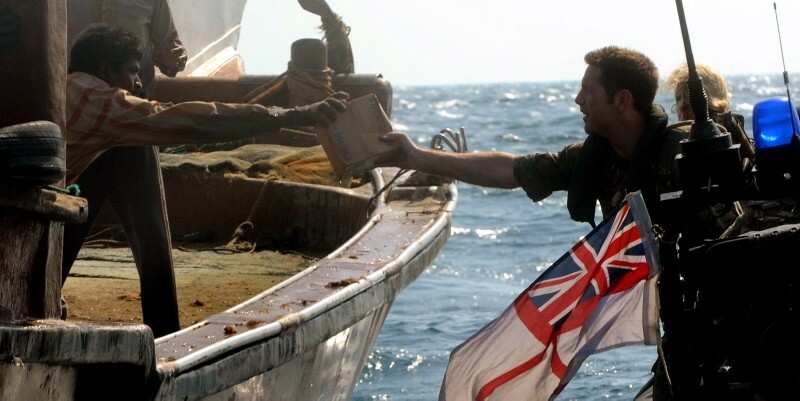 During these visits the ship’s sea boats, crewed by both Sailors and Royal Marines, draw up alongside the fishing dhows and whilst discussing any issues also gift food and water which is always welcome in the sweltering conditions experienced this time of year. The ship’s doctor is also on hand to assist with any medical issues under our commitment to assist ill mariners. Even though these interactions are completely different to the operations that were practiced by the Ships Company back in the UK, the importance of this type of communication is clear to see. By building relationships with the local fishermen and maintaining a presence in the area, ST ALBANS is able to gain vital insight into the day to day goings on in the Gulf and therefore quickly detect any different or potentially illegal activity. On top of this personal contact with the local fishermen, the ship also carries out high profile diplomatic visits to the centres of political and economic power in the area such as Bahrain, the UAE and Kuwait. During these visits, capability demonstrations are carried out and the Ship takes part in exercises with coalition forces, working together with them to help develop the Navies and Coast Guards in the area. Whilst working in the Gulf, The Saint must remain sharp to the ever-present danger of escalation although her day to day tasking is dominated by activities at the other end of the military scale. Only an asset with the inherent flexibility that a Royal Navy warship brings could hope to achieve this range of effects. ST ALBANS is ready for anything, from war-fighting to the human touch.